Giving the gift of Specialty’s is now quicker and easier than ever. eGift Cards are available in any denomination. Who’s on your list? 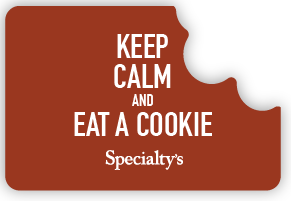 Say “Thank You”, “Happy Birthday”, or show appreciation “Just Because” by sending a warm Specialty’s cookie. Make someone’s day! 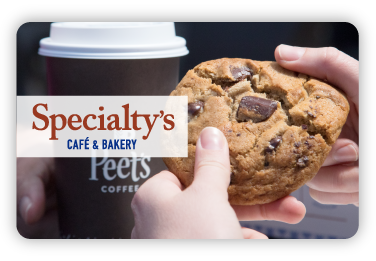 Give the gift of good food (and Peet’s Coffee). 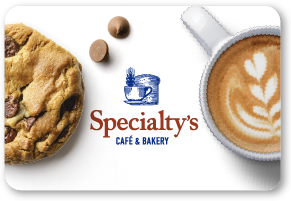 Pick up one (or two) gift cards at your Specialty’s café nearest you today! Now, let’s eat.